MDS SD4 (400 MHz) Long Range (up to 50 miles) IP/Ethernet and Serial Wireless Device. Provide long distance communication over licensed radio bands. Up to 65 Kbps. Compatible with Modbus, Modubus TCP and DNP3. AES 128-bit data encryption. CSA Approved for Class I, Div 2, groups A, B, C and D.
The MDS SD Series are industrial wireless solutions that provide long distance communications over licensed radio bands, allowing users to interface to both Ethernet and serial devices such PLCs, RTUs and meters with host monitoring and control systems. The SD Series is the latest generation of MDS licensed narrowband wireless devices providing exceptional communication performance and reliability to meet demands for IP/Ethernet services as well as support for multiple devices and host systems. The SD is compatible with previous generations allowing for a smooth and controlled migration for existing systems. The MDS SD Series of industrial-strength radios offer secure, reliable, long distance transmission of data for your mission critical applications. The SD Series combines 5 Watt transmit power and exceptional receive sensitivity to support wide coverage areas and maximum performance when difficult terrain or obstructions such as trees and buildings limit the effectiveness of other wireless devices. The SD Series operates in the 100 MHz (SD1), 200 MHz (SD2), 400 MHz (SD4) and 900 MHz (SD9) frequencies and allows users to select the channel size and modulation option best suited to their unique requirements. The combination of these features results in the ideal data acquisition product for error free, long distance communication. The performance of a wireless network is more than a measurement of speed. It also includes the efficiency of the radio system in mediating over-the-air channel access. This is particularly important for operating IP/Ethernet in narrow licensed channel sizes. The SD Series implements several features designed to provide maximum performance. The SD�s Media Access Control (MAC) is optimized to reduce Ethernet overhead and preserve bandwidth for higher usable data speed. The IP Payload feature removes unneeded Ethernet frames to shrink messages and improve throughput. The SD Series automatically controls over-the-air communication between host systems and remote devices to insure that data collisions are detected and avoided. The result is exceptional performance for networks requiring connections to multiple host systems, multiple device types connected to a single remote radio, or a mix of Ethernet and serial devices. The SD also insures maximum reliability for systems implementing unsolicited communication and exception reporting from remote devices and RTUs, which is particularly important for non-polled protocols such as DNP3. MDS SD Series radios can be directly added to existing MDS x710 and x790 systems, providing both "drop-in" compatibility for expansions and replacements, and adding Ethernet support. Backward compatibility preserves your investment and allows a smooth transition from a serial based SCADA infrastructure to IP/Ethernet without disrupting day-to-day operations. �	Connect multiple RTUs and controllers to a single remote radio �	Operate serial and Ethernet devices concurrently on the same network �	Implement exception reporting and pushed communication initiated by remote devices. �	Provides IP/Ethernet and serial communication for multiple hosts and asynchronous polling �	Embedded terminal server functions support serial & Ethernet connections without adaptors. �	Secure AES 128 encryption for IP/Ethernet UDP, TCP Client and TCP Server and serial. The SD Series low power consumption and sleep mode make it ideal for applications requiring solar power operation. The SD Series requires less energy resulting in lower costs for solar panels and batteries. Use the web based SD Device Manager for easy configuration of all SD Series parameters including transmit and receive frequencies, channel size and modem speed. SD Device Manager is also used to access important performance and maintenance information. The SD Series supports 3 Virtual Radio Channels (VRC) that allow users to assign communication to specific serial ports or IP addresses and ports when multiple devices or systems are connected. SD Series configuration and maintenance can also be performed using Telnet and HyperTerminal sessions. The SD1 radio operates in the 100 MHz frequency band, SD2 operates in the 200 MHz frequency band, SD4 operates in the 300 MHz, 400 MHz and 500 MHz frequency bands and SD9 operates in the 800 MHz and 900 MHz frequency bands. Choose between models that support both Ethernet and serial, or only serial interface. The SD Series handles concurrent Ethernet and serial traffic using built-in terminal server plus industry- standard TCP or UDP protocols. The SDxP is used when applications demand no single point of failure for the communications system. The MDS SDxP incorporates two MDS SD transceivers and power supplies with automatic or manual switchover capability. On detection of a failure, the MDS SDxP switches immediately to the standby transceiver. The switchover occurs for selectable transceiver alarm conditions. Switchover also occurs when no valid packets are received in a programmable time frame of 1 to 30 minutes, or upon loss of power to the operating radio. An internal back-up battery is provided in AC-powered models for continued operation during a loss of primary power. The SDA adaptor is used with 4790 and 9790 Master Stations to add IP/ Ethernet connectivity. The SDA can be ordered with new Master Stations or easily added to equipment already installed. 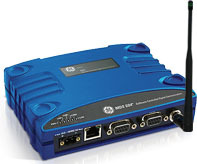 Once connected to a 4790/9790, one (1) serial port and one (1) Ethernet port are available for connection to external systems or devices. Manage your SD network using PulseNET TM NMS. PulseNET is purpose- built for industrial communications and includes sophisticated and meaningful pre-built workflows along with intuitive graphical representations of the network at your fingertips. > RADIO MODEMS > LONG RANGE ETHERNET AND SERIAL : 3 Items found. MDS SD9 (900 MHz) Long Range (up to 50 miles) IP/Ethernet and Serial Wireless Device. Provide long distance communication over licensed radio bands. Up to 65 Kbps. 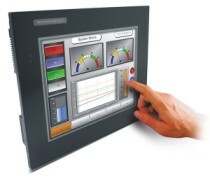 Compatible with Modbus, Modubus TCP and DNP3. AES 128-bit data encryption. CSA Approved for Class I, Div 2, groups A, B, C and D.
MDS SD1 (100 MHz) Long Range (up to 50 miles) IP/Ethernet and Serial Wireless Device. Provide long distance communication over licensed radio bands. Up to 65 Kbps. Frequency Band: 150-174 MHz. Compatible with Modbus, Modubus TCP and DNP3. AES 128-bit data encryption. CSA Approved for Class I, Div 2, groups A, B, C and D.